Home / Verbal / HAPS SuperFruits + Boosters Serotonin Boosting Nutritional Drink. 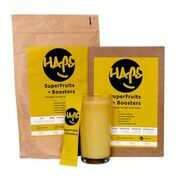 HAPS SuperFruits + Boosters Serotonin Boosting Nutritional Drink. 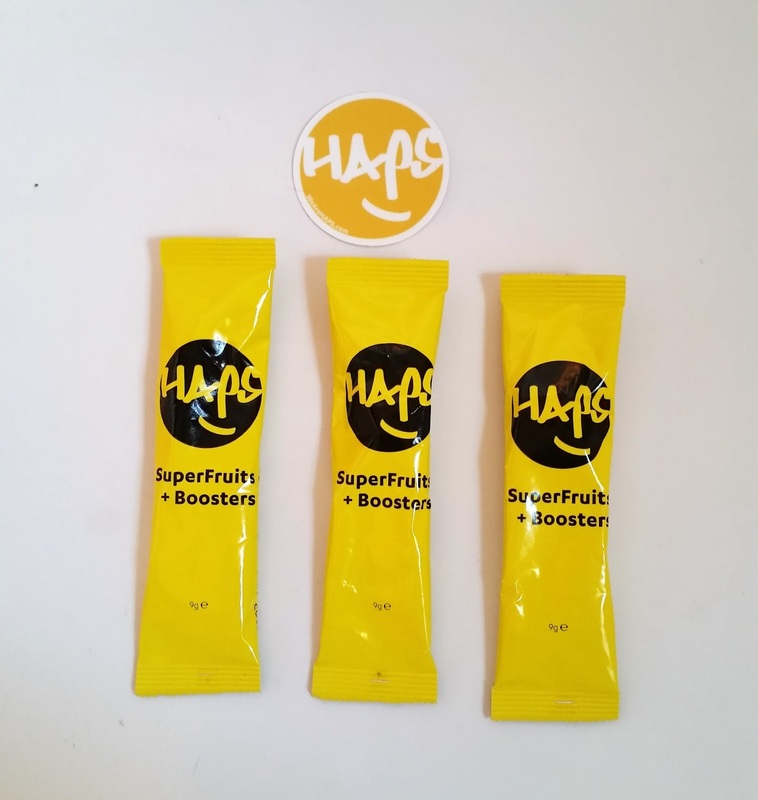 HAPS SuperFruits + Boosters launched on 28th Feb 2017. It contains whole fruit powders + boosters to naturally increase serotonin production, rehydrate, revitalise and improve mental wellbeing. 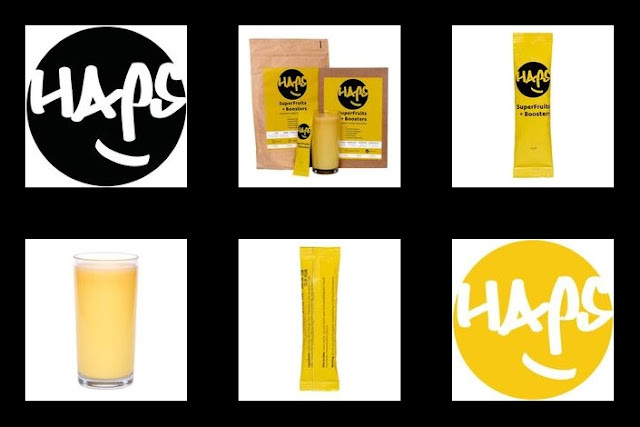 A groundbreaking nutritional drink powder designed to boost low mood has been created by WE ARE HAPS founder Rik Turner, in collaboration with Brighton based nutritional therapist Kirsten Chick and the supplement specialists fuelling Team GB athletes, Team Nutrition. The latest scientific research has found that nutrition is fundamental to mental health. “We don’t always associate mental health with nutrition, but actually, there’s where we need to begin. Rik. 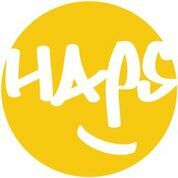 The founder of We Are HAPS. So, what’s my story? Well, I've experienced first hand the impact of poor mental health. Growing up I watched my mum go through depression. I personally suffer from anxiety and seasonal affective disorder (SAD). A few years ago, during a typically dark English January, my mum had a spinal stroke, my grandad died and I really hit rock bottom. Initially I tried to avoid my emotions by keeping busy - working all hours during the week and partying all weekend but that just made things worse. So, I slowed down and started focussing on my wellbeing, particularly nutrition. Supplements massively helped me, but I didn't like taking a load of different, individual pills everyday. Also, these are full of various bulking agents and cheap chemicals to increase corporate profits, not my wellbeing. I thought “I could create a better, more ethical solution than this”, so I have. I now love my life and all it’s highs and lows. I’ve learnt so much studying the science of happiness and wellbeing that I can't not take action to help others. So, I’ve quit a secure, well paid job, got rid of almost everything I own and am currently living in India to cut my living costs while I self fund We Are HAPS. I’ve sacrificed a very comfortable life because although I’m much better now, I need to help others. It kills me to see more people than ever feeling low, despite all the scientific advances over the past decade. The latest stats are that 1 in 4 people in the UK will experience a mental health problem each year. Globally, more people die from suicide than from wars & natural disasters combined and it’s a growing problem. The primary treatment for depression is antidepressant drugs which is by far the most effective treatment in the short term. However, the latest research studies have found that drugs are not a long term solution. Nutrition is. To get all the nutrients the body needs, a healthy diet is often not enough because some nutrients can’t be sourced from food. 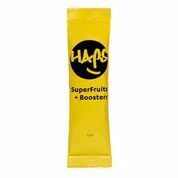 So, we’ve developed HAPS SuperFruits + Boosters to give you a boost of the specific nutrients that improve mental health. Unlike most supplements, we use no bulking agents or fillers. Instead, we just use whole fruit powders. We have also sourced the finest quality boosters that naturally increase serotonin production, rehydrate, re-energise and revitalise the body. So please, help me help others. It's so much more than a nutritional supplement. It's a movement dedicated to empowering people to take control of their happiness & wellbeing. Buy a pack for you, or for someone else and support the mission. 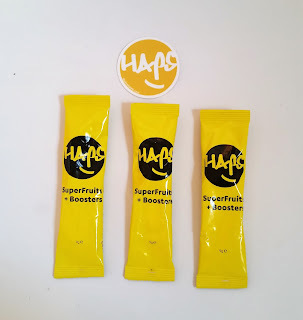 HAPS SuperFruits + Boosters - My Experience. I was lucky enough to be sent three sachets to experience and blog about from HAPS. The bright yellow sachets feature all the information you need, printed on them from how to take, ingredients and a warning. How to take is fairly simple to follow; open the sachet, mix with 250ml water and you can either blend/shake or stir the natural ingredients. You must consume within 12 hours. Vitamin B6, Vitamin B12, Vitamin D, Zinc], Ionic Electrolytes (0.8%), Stevia. Warning; Do not consume if pregnant, breastfeeding, or taking antidepressants. Taking the HAPS SuperFruits + Boosters in the morning is a great way to start your day. You can either enjoy your drink to have with your breakfast or you could prepare your drink in a bottle, to enjoy on your way to work or throughout your morning. The other beneficial benefit by taking the HAPS SuperFruits + Boosters is they give you a natural energy boost, ditching the sugar filled energy drinks you may drinking now or if you are trying to cut down on sugar from your diet, the HAPS SuperFruits + Boosters are a great replacement alternative. You do feel your mood has been lifted. like on a sunny day when the sunshine is beaming and so is your smile. 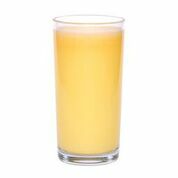 Find out more on these great tasting Serotonin Boosting Nutrional Drink by We Are HAPS. X Neil.